Thornapple Kellogg High School student Tate Johnson examined a large exhaust pipe for a diesel truck made at Middleville Tool and Die. 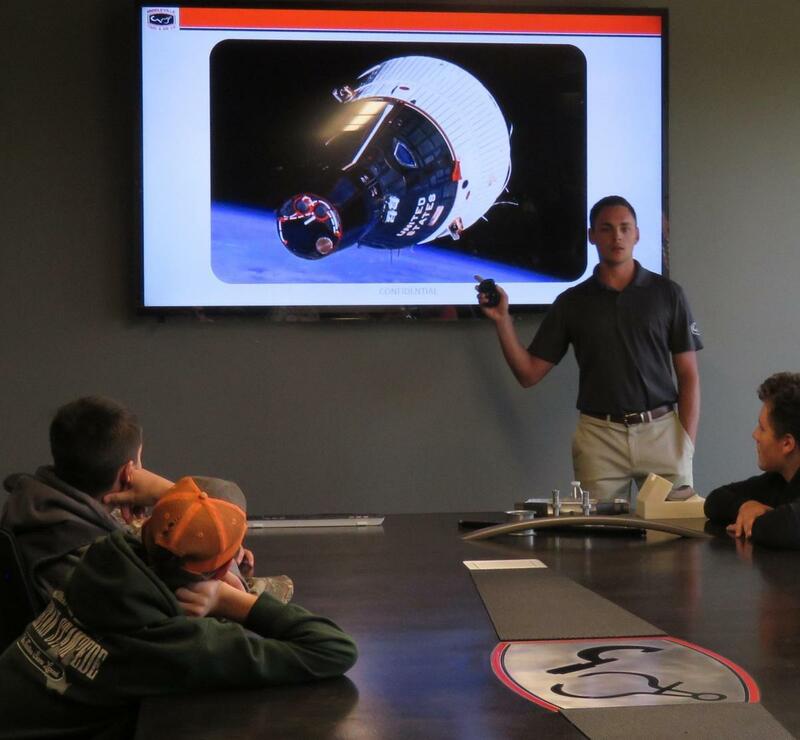 He and several other TK students had earlier been to TNR and Hastings Manufacturing the same day, getting an eye-opening experience into a world of possible careers. Students throughout Barry County were given multiple opportunities to explore careers by visiting several manufacturing and healthcare facilities in October. The Barry County Chamber of Commerce and Economic Development Alliance organized the tours with 13 different companies. Manufacturing Week is recognized in October across the country to celebrate America's manufacturing strength. 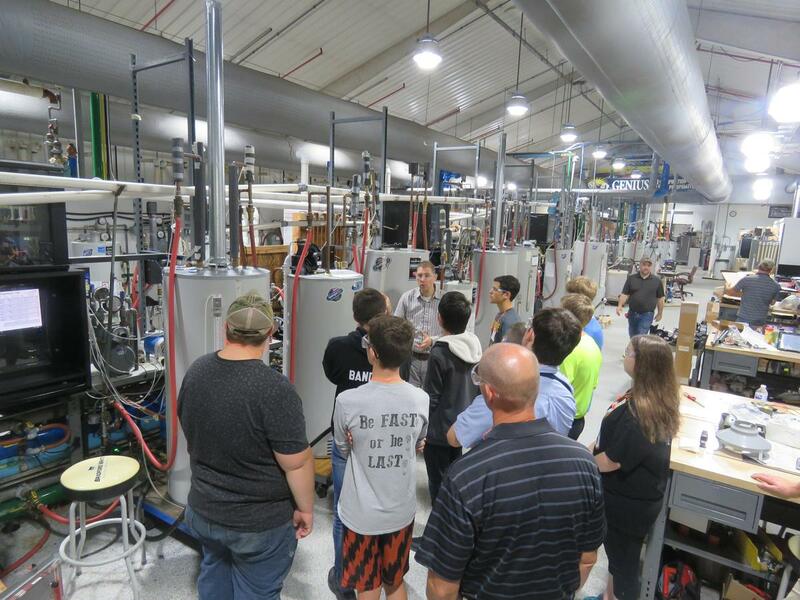 In Barry County, local organizers utilize the entire month to bring in students and teachers to show them what manufacturing is like in the 21st century and what's being made right in their own area. Exposing students to, and educating them about, what local companies do is just part of the picture, Alden said. Showing them the myriad of career opportunities available at these firms, and the paths to get them there, is a key goal of these events. Many students drive past Middleville Tool and Die every day on their way to and from school. But few said they actually knew what the company surrounded by cornfields and farmland actually made. A tour through the company recently opened their eyes. Alex Koetsier, a TK graduate, talked to students about his path from high school to Ferris and ultimately to a career at Middleville Tool & Die. "I didn't know what I wanted to do when I was in high school," Koetsier admitted. But he said he found something his grandfather worked on as an engineer for the space shuttles. Koetsier said he decided he wanted to design something like his grandfather that could have a lasting impact and began his engineering career. Most students knew of Bradford White and the company's production of water heaters. But few realized how far the water heaters traveled around the world or how many were made right in Middleville. The same was true at other companies students visited. They knew the names of the companies, but little else about what went on inside the facilities, what types of jobs were needed, and the education and training required for those jobs. 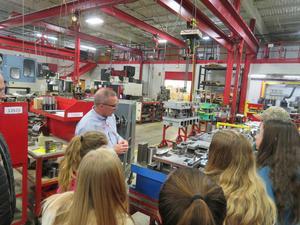 A total of 13 companies or healthcare venues hosted career exposure tours for students from local schools, including Hastings, Thornapple Kellogg, Maple Valley, Delton Kellogg and Barry County Christian School. 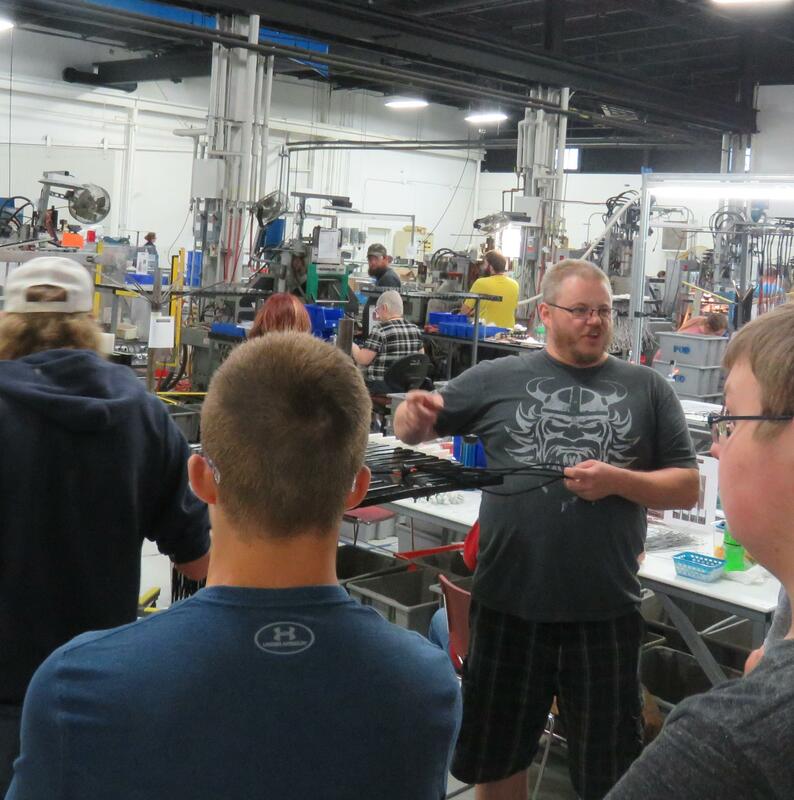 Sites hosting tours included Middleville businesses Advanced Stone Fabrication, Bradford White, H&L Manufacturing, Chem Quest and Middleville Tool and Die. Other companies in Barry County were Bliss Clearing Niagara, Hastings Manufacturing, Hastings Fiberglass. Tri-Clor, Flexfab, Spectrum Health Pennock and Thornapple Manor in Hastings; and TNR Machine in Dowling.